A reducer ramp is used to provide a neat transition between two floors of different heights. 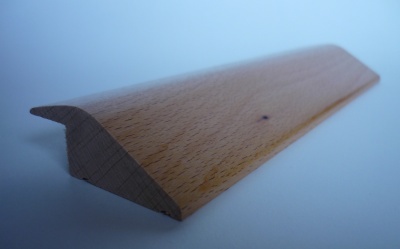 This solid wood reducer ramp is available in a variety of wood types and will ensure a tidy finish to your wooden floor project. Reducer Ramp price shown is for 1 x 2.44m length.